A couple of the most fantastic ladies I have ever met have lost the fight to breast cancer and many of you reading this will know personally somebody that has been impacted by this. If you have seen the news this week, they have been talking about how the number of men dying from prostate cancer has overtaken female deaths from breast cancer for the first time in the UK. Prostate Cancer UK says that the advances in the diagnosis and treatment of breast cancer are paying off, and increased funding could benefit prostate cancer. This didn't come as a surprise for me, I have lost count on the number of times I have supported a friend or colleague who has been fund raising for a Breast Cancer charity and am really happy to continue to support them when I can in the future. However Prostate Cancer has now become personal! I haven't spoken about this publicly on social media yet, but now is the time to. Towards the end of 2017 my Dad was diagnosed with Prostate Cancer. The good news is it looks to have been caught early and next week he is undergoing surgery to remove his prostate. Dad has had a lung condition for years which means he has had to go through extra tests to make sure they can do the procedure, which I am glad to say they can and hopefully as it has been caught early he won't require any further treatment. But this leads to the other reason for my post, I am doing a 10k walk in June this year, I know that 10k isn't a marathon, but for me it will be the first time I have ever done anything like this. I hate running and thanks to my jet ski crash 7.5 years ago I am not meant to run.... but walk..... I can do! I will train for this to stop me injuring myself, but more importantly hopefully I can do my bit to help raise some much needed funds for Prostate Cancer UK. They suggest a fund raising target of £50 but I can pay that myself so have set this to £200 as I have no idea how much support I will be able to get as I know a lot of people do fund raising now and a number of you will roll your eyes when you see another just giving page! If any of you want to get involved the details can be found on the March for Men site here, I am doing the London March on 16th June, so feel free to join me! If you want to sponsor me then the Just Giving page site is live and you just need to click the button below, even if it is only £1 I will be grateful. 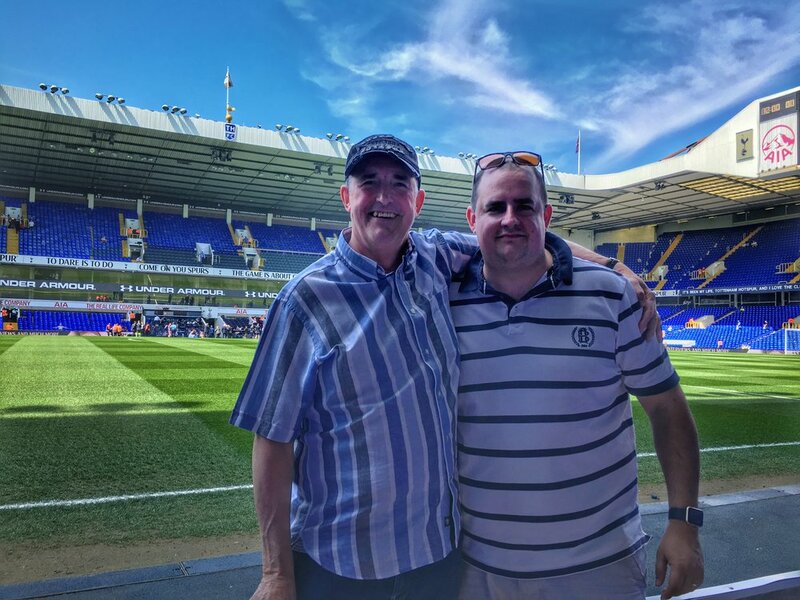 My Dad has not only been a brilliant and loving dad, but also one of my best friends, going to football with him all my life. This week we went to Wembley for what is likely to be his last game of the season. As much as I love going with my girls it just isn't the same without him whinging about the ref or the players passing the ball back instead of going forward. This is why I am doing this walk, for him and all the other guys out there that have had and could potentially get prostate cancer in the future. If Prostate Cancer UK can raise £120 million which they need to create the better testing and treatments that will halve prostate cancer deaths by 2026. Men with male relatives who have had prostate cancer, black men and men over 50 are at higher risk of getting the disease.